What is a Poison Oak Plant? 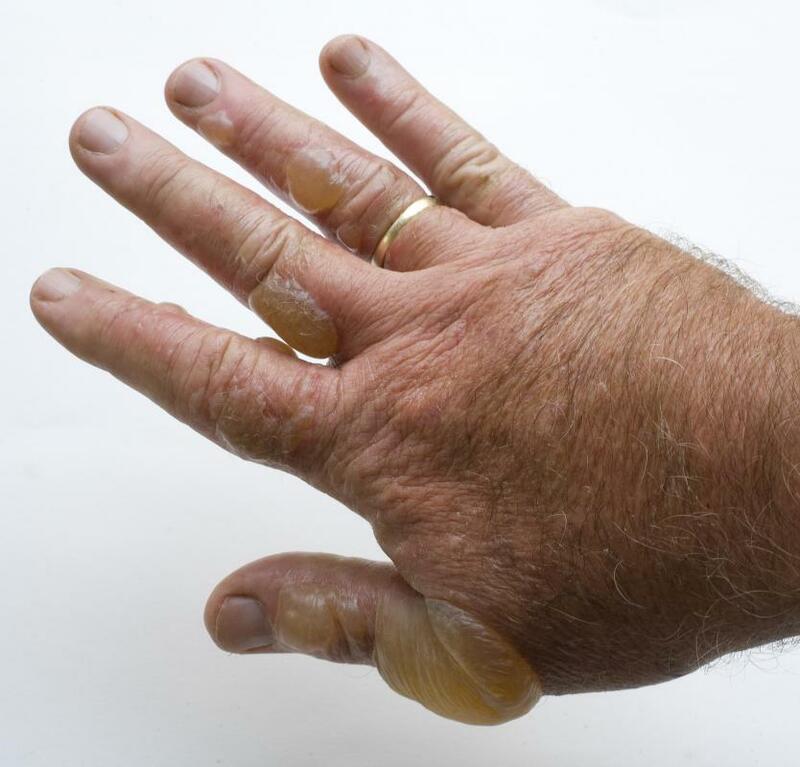 A man with poison oak blisters on his hand. Poison oak can cause an itchy rash. 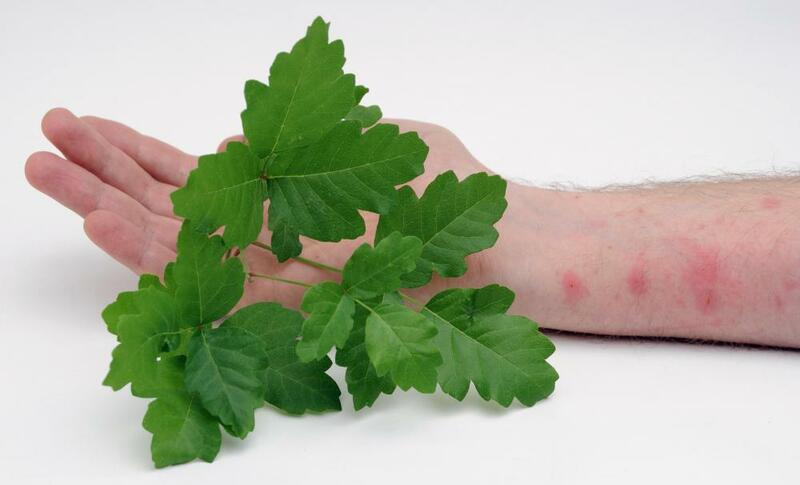 Direct contact with poison oak can result in a non-contagious form of contact dermatitis. Gardeners must make sure to wear clothes all over the body and to wear cotton gloves over latex gloves. A Poison Oak plant is a species of Toxicodendron that grows on the Western Coast of the United States, also known as T. diversilobum, or one that grows on the Southeastern Coast, known as T. pubescens. These are also called Western Poison Oak and the Atlantic Poison Oak, respectively. Both plants contain the irritating oil, urushiol, and can cause a severe rash upon contact. While beautiful plants, they are considered undesirable for this reason. The Western Poison Oak plant grows to between 1-6 ft (0.3-1.8 m) high. It is a woody shrub in sunlight and a vine in dense shade, using aerial roots to support itself. The Poison Oak plant leaflets are found in a cluster of three, which are approximately 1½-4 in (3 1/2-10 cm) long. They look like the leaves of oaks, except that the leaves of true oaks do not grow in groups, but singly. The leaves have toothed edges and can be hairy underneath. All parts of the plant are poisonous. The white-green flowers of the Western poison oak plant are produced in the spring. They can give rise to white-green or tan berries in late summer. In the fall, the leaves turn from glossy green to shades of orange or red. The plant is deciduous and loses its leaves in the winter, leaving only clusters of berries. Even at this stage, the plant is still poisonous. Western Poison Oak plant habitats range from grassy hillsides to coniferous forests. This plant thrives on land which has been disturbed, such as uncultivated fields, recreation areas, and rangeland. The Western Poison Oak can be found from British Columbia to as far south as Baja California. It is very prevalent in this area. The Atlantic Poison Oak plant is similar, but is a smaller shrub that generally grows to about 3 ft (1 m) tall, although it can grow larger. It does not grow as a vine. The leaves of this species are larger, 6 in (15 cm) long and hairy. The Atlantic Poison Oak plant grows in habitats similar to the Western Poison Oak Plant, except that it prefers sandy soils. It is found from New Jersey to Florida, and as far west as Texas and Oklahoma. Contact with any part of either species can cause an allergic reaction in a sensitive individual, and breathing the smoke of burning plant parts can cause an internal response. Touching anything which has been in contact with Poison Oak can spread the oil that causes the rash, including clothing, tools, and even the fur of animals. The best way to prevent getting a rash after contact is to use a compound like rubbing alcohol, then wash with a lot of cold, not warm, water. Efforts to control the plant can be difficult, since it spreads in several manners. Birds spread the seeds, which form underground rootstocks. Once it has become established, the plant spreads using these horizontal rootstocks. The roots from one single system can grow several feet (1 m) in diameter. Having an area of healthy vegetation will reduce the chances of infestation. The main ways to control Poison Oak are by treating with herbicides or pulling it by hand. For invasions near yards and houses, manual removal can involve hand-pulling or using a pick or shovel. One must make sure to remove the whole plant and get all of the roots. Only do this when the soil is moist, or the stems can break off, leaving the rootstocks to re-sprout. In doing this, gardeners must make sure to wear clothes all over the body and to wear cotton gloves over latex gloves. Clothes, including shoes, should be washed separately after work is done. Ideally, hand removal should be done by people who are immune to the effects of urushiol. The plant waste is still poisonous and should not be burned. Mowing is usually an ineffective means of control for Poison Oak, unless it is performed at least four times while the plant is growing. Generally, mowing just breaks off the top of the plant, and the rootstock re-grows. One way to control Poison Oak infestations it to prepare a seed bed well and cultivate crops for a year or more. Several herbicides are used to control Poison Oak plants. Glyphosphate is one of the most effective. A preparation of at least two percent in water is effective. It is best used after the fruit have appeared, but while the leaves are still green. Be careful with glyphosphate, since it is a general herbicide and will kill any plant it touches. What is a Poison Oak Rash? How do I Treat Poison Oak? What is a Virginia Creeper Vine? 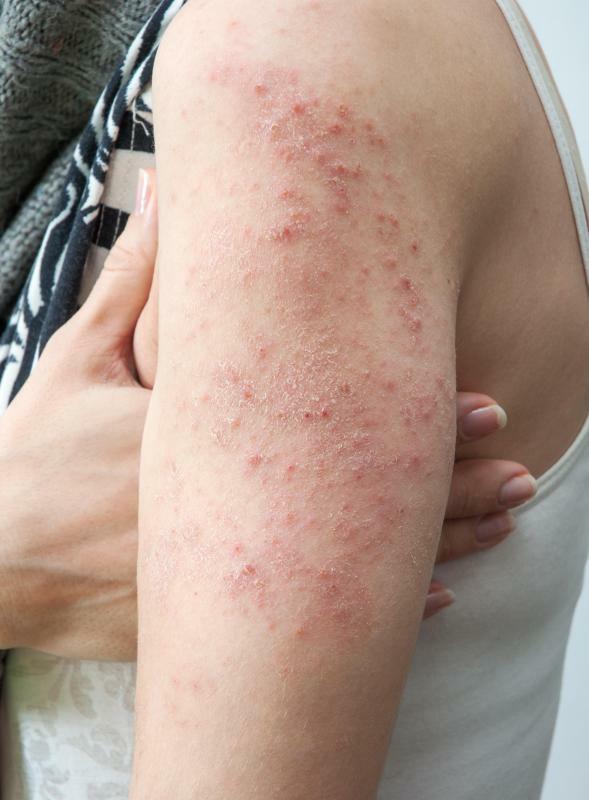 How can I Treat a Poison Ivy Rash?